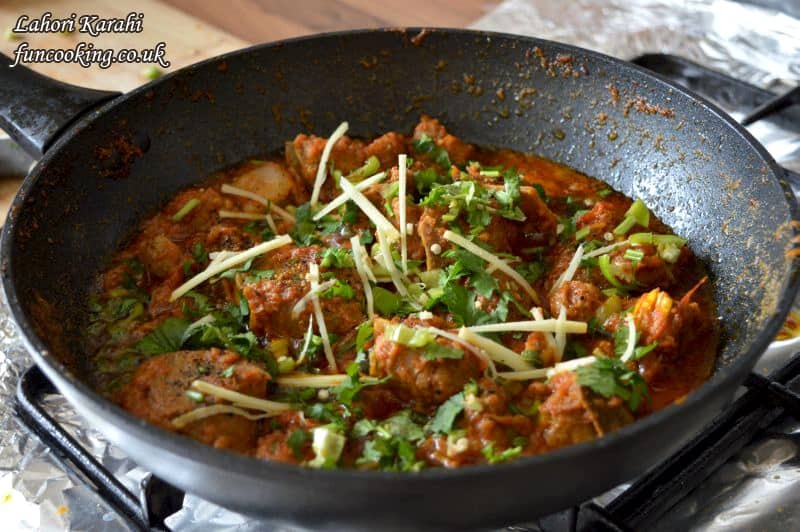 A karahi is a type of thick, circular, and deep cooking-pot that originated in the Indian subcontinent. You can say it wok. 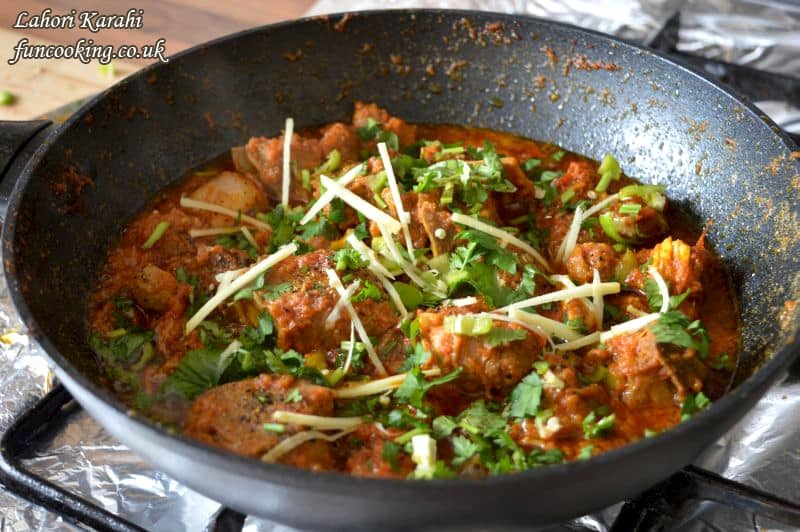 A very favorite dish from Pakistan which we make in karahi (wok). 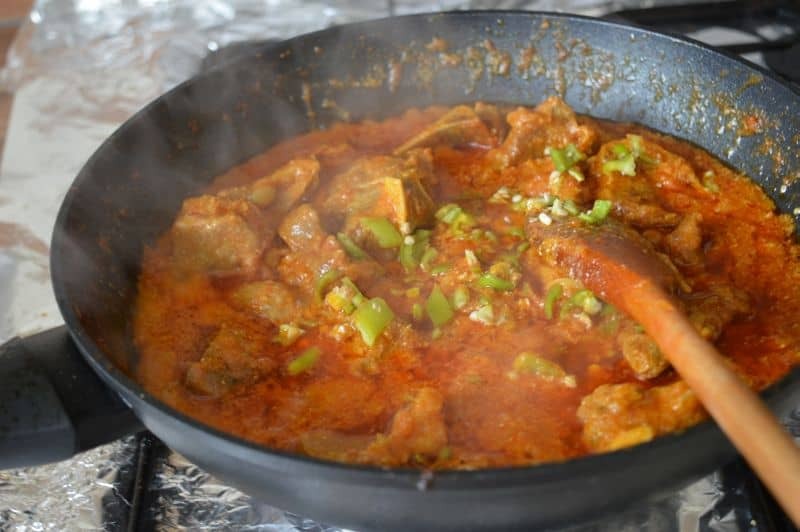 A blend of meat (lamb,goat,chicken), tomatoes, onions, green chilies, ginger, garlic and spices cooked on high heat. 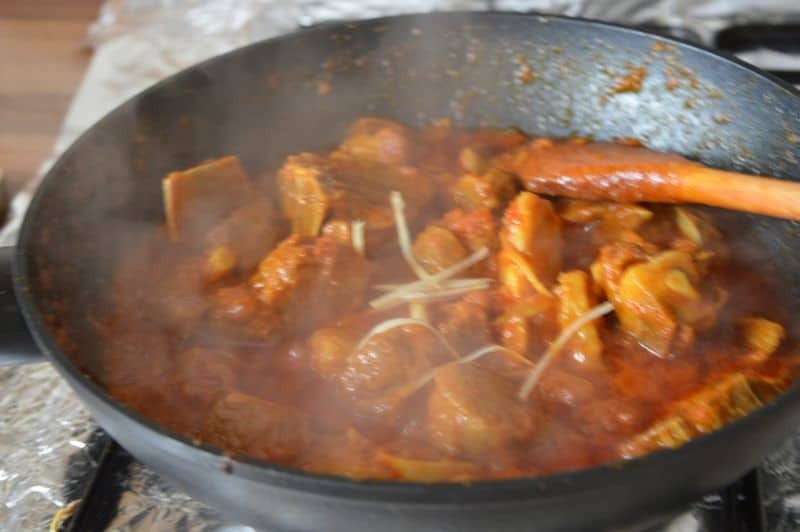 There are so many variations of this dish in different cities of Pakistan. Some times with less spices and ingredients, sometimes full spicy. 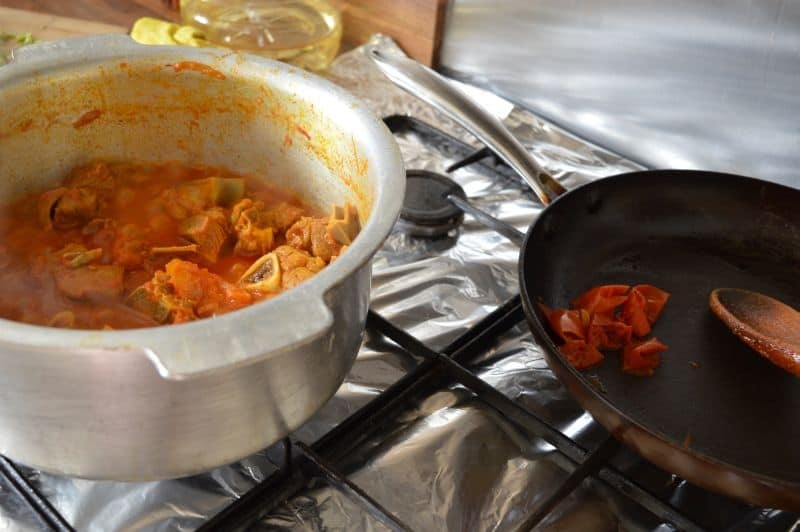 I already shared so many recipes of karahi in the blog. 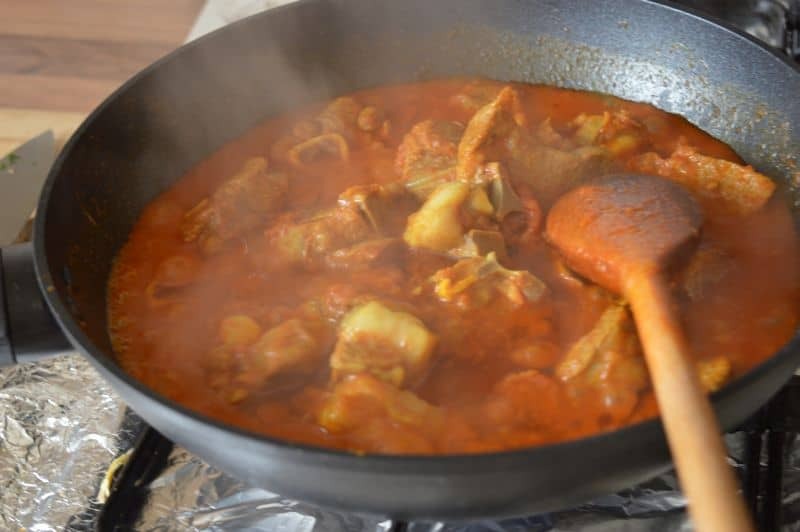 Click on the link to see them Karahi Recipes. 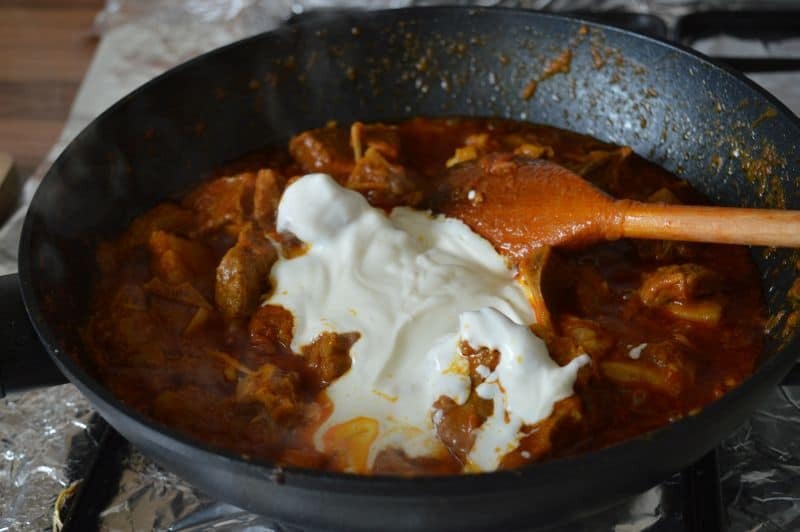 Today I made Lahori Karahi with lamb meat, you can also cook it with goat meat if you want. A delicious recipe which is not too dry, you can serve it with naan or cahapati. 2. Add all list 1 ingredients in a pan. 3. Mix, add 1/4 cup water and cook it for almost 1 hour on low heat. 4. Take out tomato skins. 5. 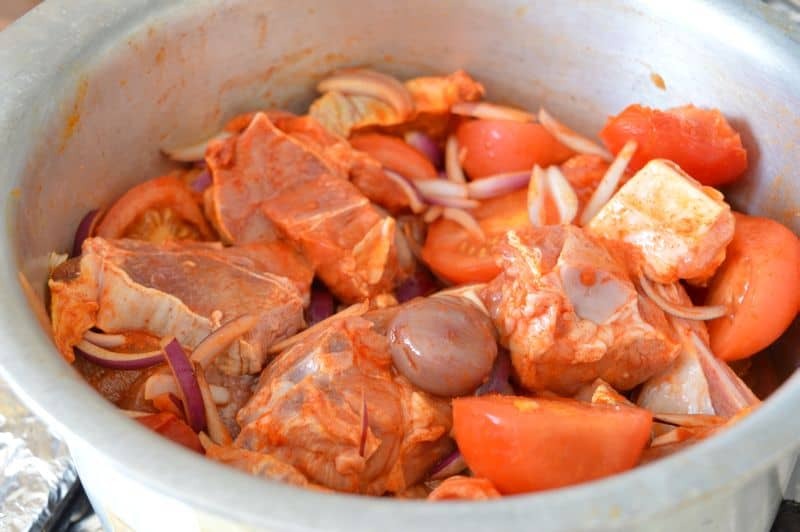 Now add cooked meat in a wok with 1/2 cup oil and cook on high heat until almost all water dries. 6. 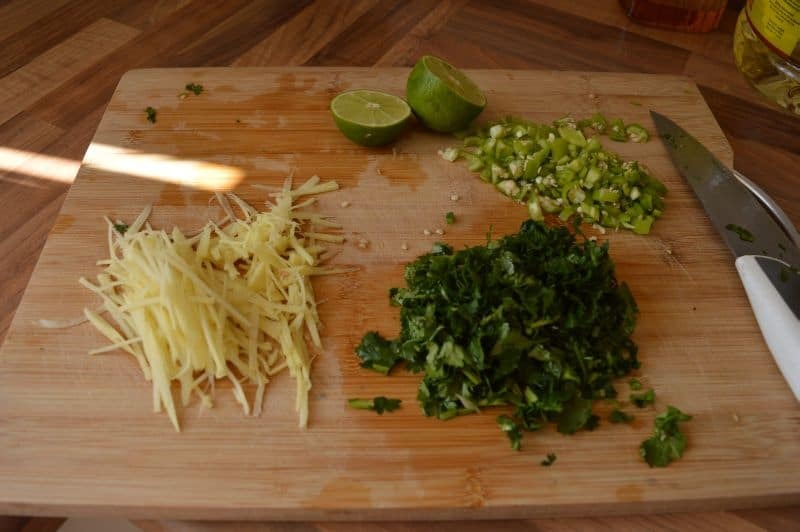 Add in 2-1/2 tbsp julian cut ginger and keep string for 5-6 minutes on high heat. 7. Add in yogurt and mix well. Add in garam masala powder and lemon juice. Cook on high heat until you see oil with sides of the pan. Now sprinkle all list 3 garnishing ingredients. cook it on low heat for 5 minutes. Lahori karahi is done, serve it with naan. 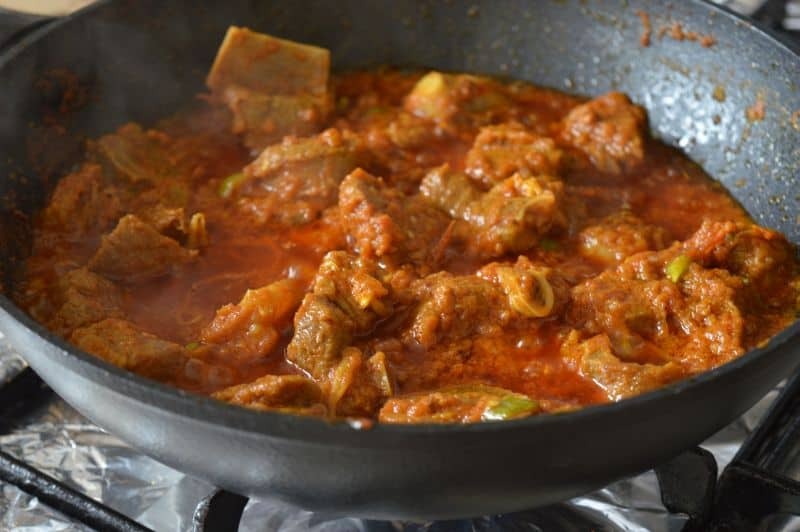 Hi Ani I live in the UK and want to ask you which cut of lamb do you take for karahi? and where do you buy lamb from here? whenever I have cooked lamb, it gives off a smell or heek, in fact I have stopped eating lamb meat since I moved to the UK. I have tried various methods to reduce this smell, but have been unsuccessful. There are 2 types of meat they sell here in UK halal shops, 1 is sheep meat and 1 is lamb meat …. the smell you are talking about is come from sheep meat that is cheaper than lamb meat. Try to buy lamb which is not more than 15 kg weight in total. I buy meat from Manchester, world wide shop. 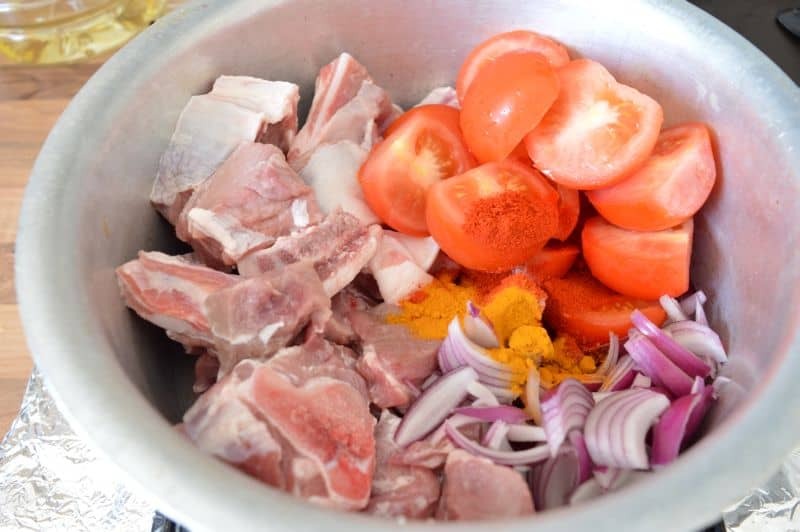 Do you use lamb shoulder or thigh meat? which has a better taste? I buy whole lamb, shoulder ,chops and back meat is good.